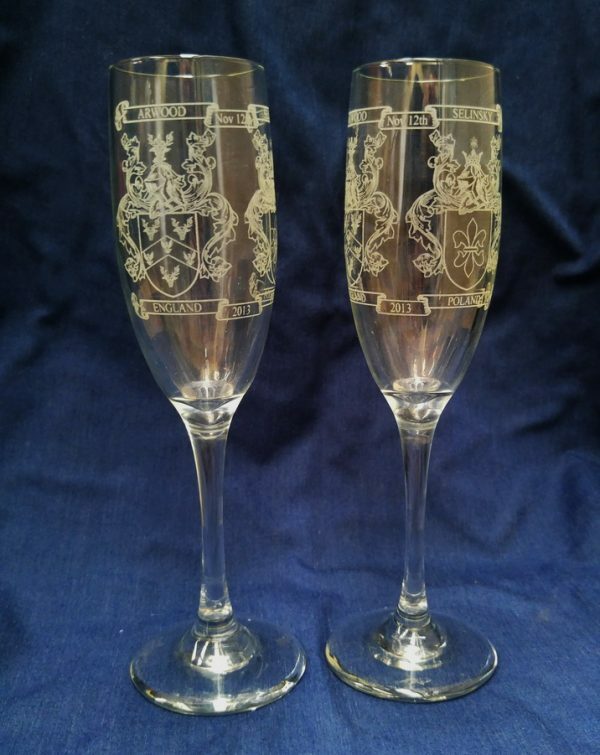 Perfect for the wedding or to toast the couple, these champagne flutes feature the Anniversary Coat of Arms laser etched onto each glass. 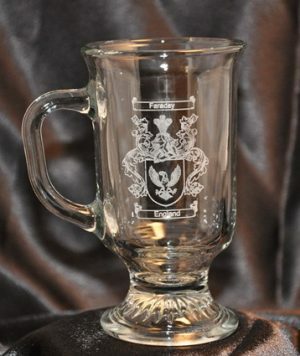 The artwork features the last names with the authentic Coat of Arms for each and the wedding date including month, day and year. Price is for one pair of two glasses and includes tax and shipping.